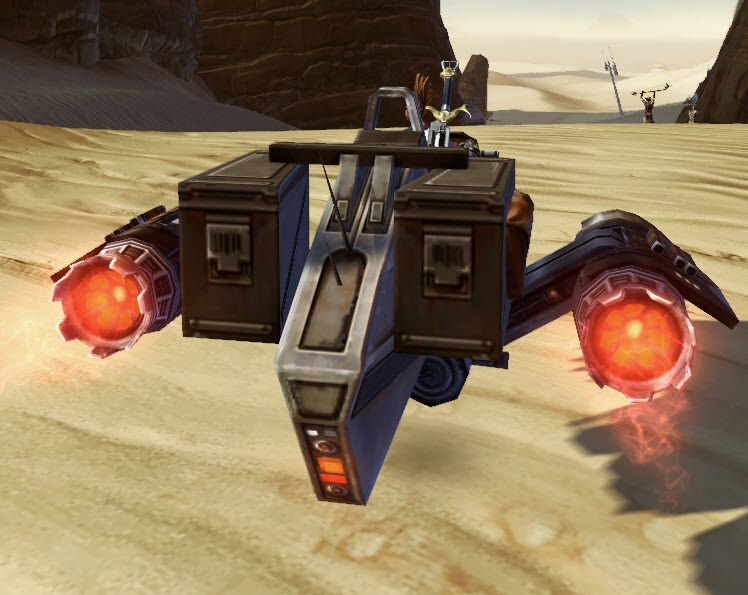 A list of rewards from the SWTOR Bounty Broker Associaton reputation vendors for the Bounty Hunting event scheduled to arrive in patch 2.3. 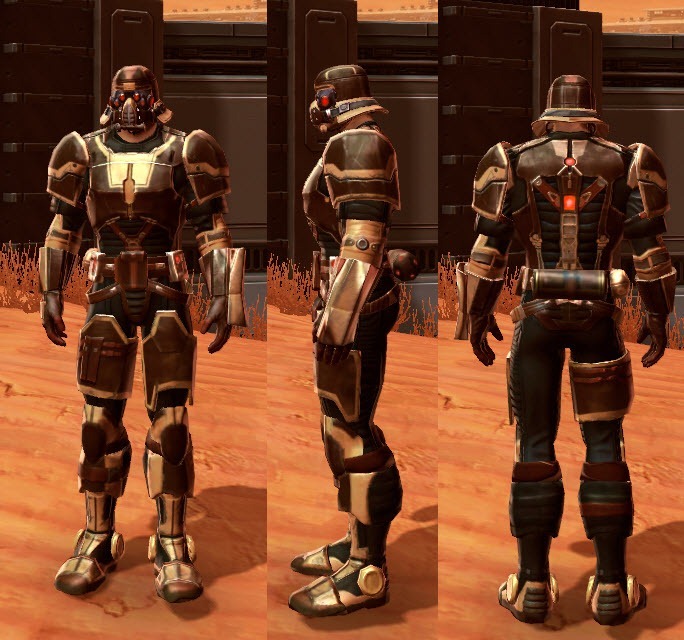 The armor have no level requirements and is adaptive. BOL, Level 10 to use. Mainhand/Offhand, can be dual wield. Not possible because the event is not running on PTS and you need reputation to buy it. I will be able to get some videos once 2.3 goes live in august. Hey Dulfy correct me if I am wrong, but didn’t Eric Musco say the event will come a week after 2.3 hits the live servers? 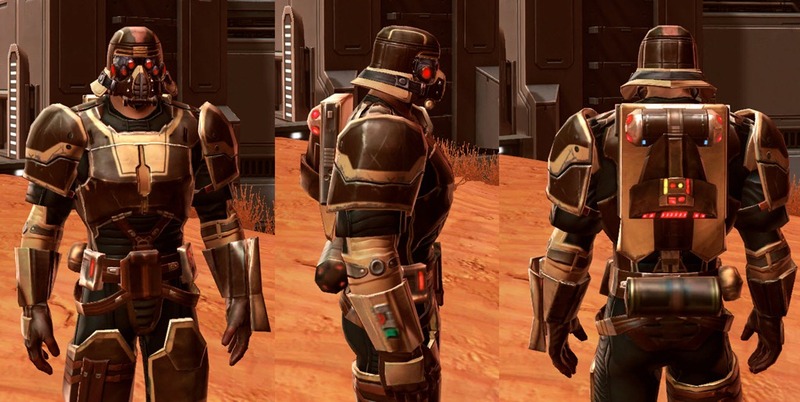 So the BH-7X customization is a skin for HK-51? That is excellent! Has a very “lived in” kind of look to it. I like the bike a lot too. 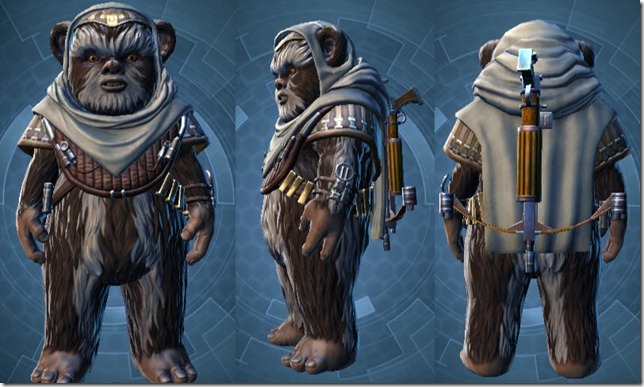 Looks like my main BH will have some style upgrades coming soon. 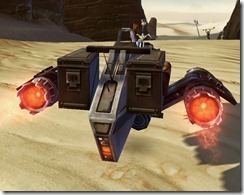 I just hope the new blaster pistol has a ka-boom! sound to it, not the usual “veep veep” they throw on their pistols. I never thought they’d introduce bowcasters. They look fantastic. They’ve had bowcasters in the game for a long time. This is just the first time they’ve become available since the original event they came from ended. 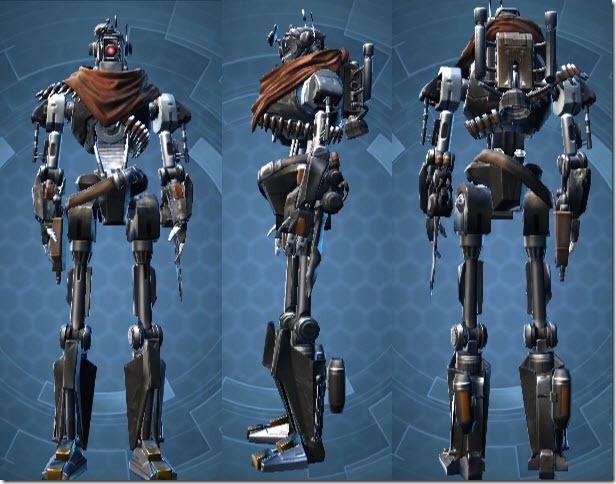 Are the “Hanger Customizations” on the PTS? 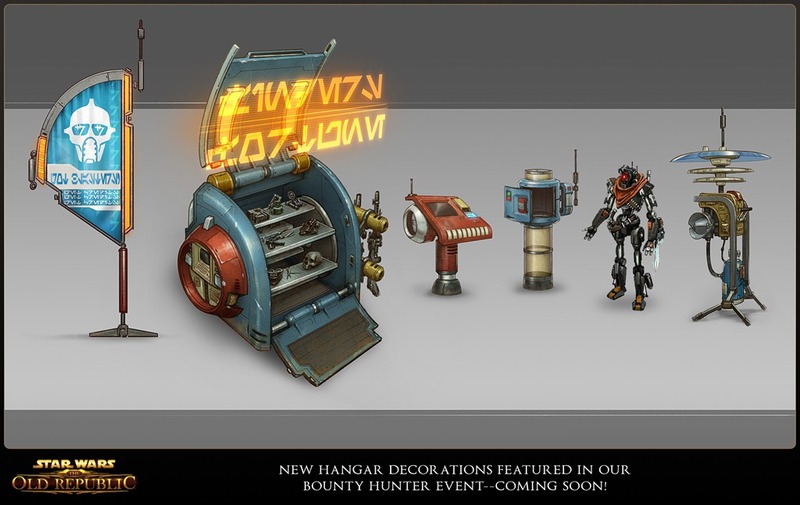 The ones featured here: http://dulfy.net/wp-content/uploads/2013/06/swtor-patch-2.3-hanger-decorations.jpg And do they provide any perks? Thanks for putting these items on your website. Did not see that one at all. 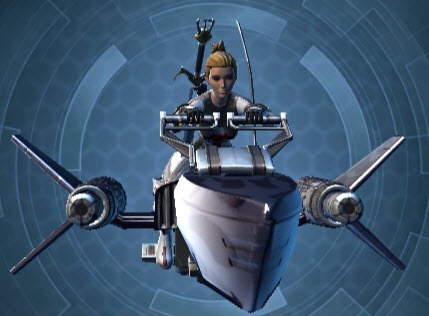 I’m going to guess BH-7X in the picture does not equal HK customization. 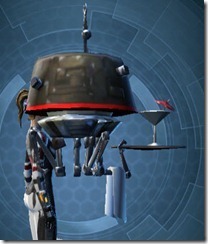 BH is likely one of the NPCs from the BBA, and you can then buy the customization to make HK look like BH. Is it possible to get legend rank within this one week while the event is active? or will it return very soon after the first time? Well, I was gonna farm a gree mainhand pistol for helix coms but I like the look of the Heavy Modified Blaster Carbine so much more! 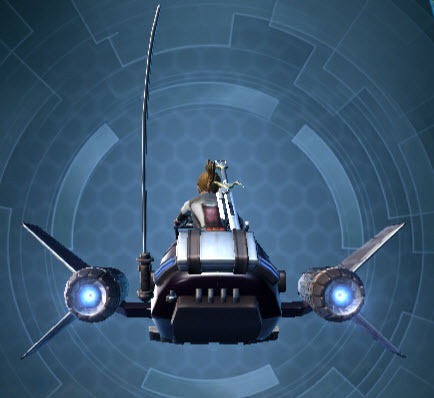 I guess I have a reason to do the Bounty Hunter event quests now. Thank goodness it’s only friend level. 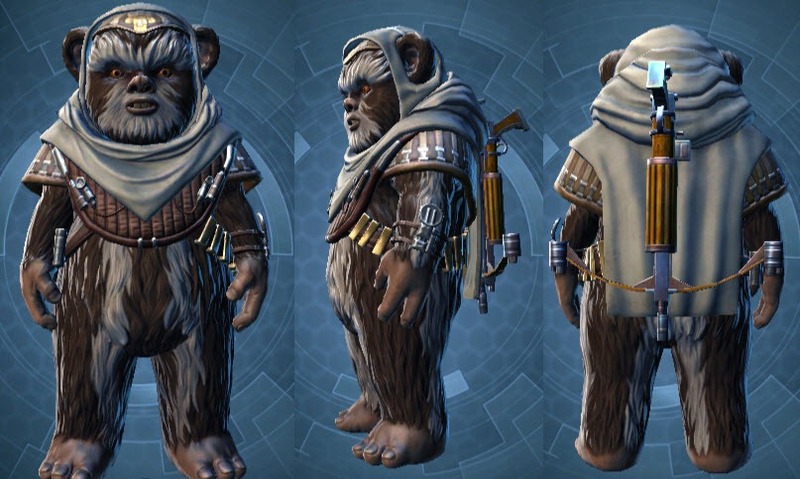 Dulfy, what’s the Ewok for? Which companion? 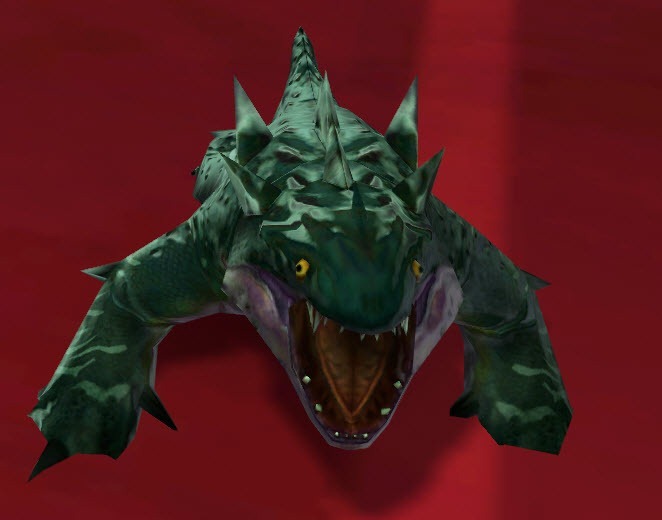 Or is it a pet? Thanks in advance. Awesome as usual! Oh, thanks so much! That’s really cool. Neat, the better looking Bowcaster is the easier one to get, and cheaper to boot. 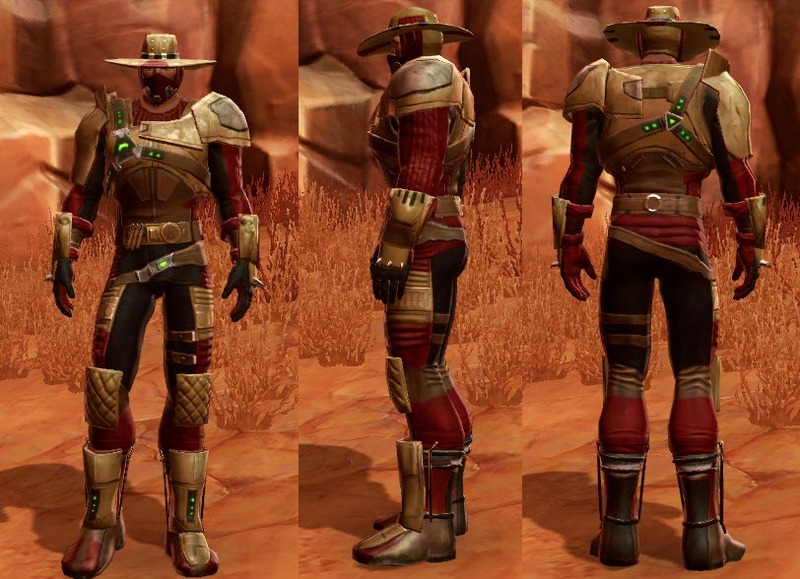 I have been saying how much I wish I hadn’t started playing during the Chevin event because it’s one of the blaster looks I really want for my Agent. This is great, all the stuff I’m interested in snagging is going to be easy to obtain! Mwahahaha. Seems a giant FU to F2P/Preferred players though with the costs of the items. Events were not designed for F2P people from the begining. They gain half reputation so it’s nothing new they don’t care about it. Even if they were, us preferred/f2p players can’t even really use the gear from these events. 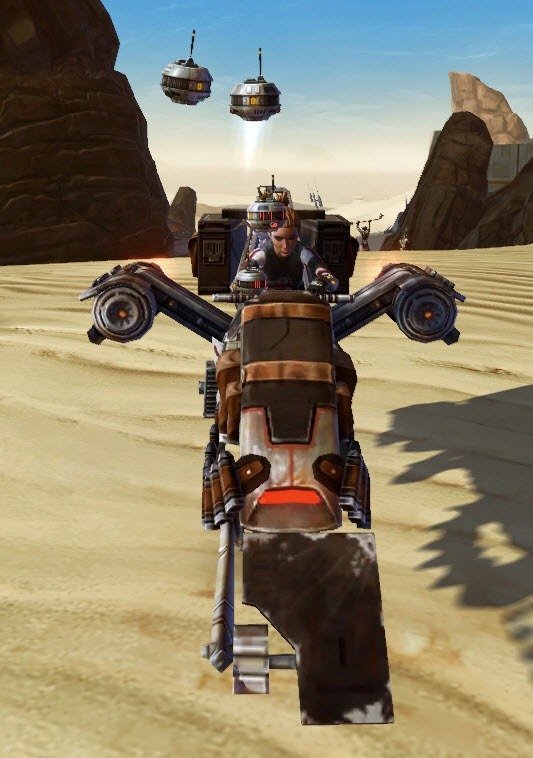 Once you star gear progression you can tear any of the mods/enhancements/armoring out from ops, so you can only really use the speeders and companions. Somebody is paying for the content and that’s fine. I’m a sub, but I buy unlocked for stuff I need all the time off the GTN, simply because I sleep on a bed of credits and I’d rather spend those than CC. But someone bought it, and BW still gets money, and I do infact want that. I think they need to price things with a realistic understanding of where the in-game economy is. 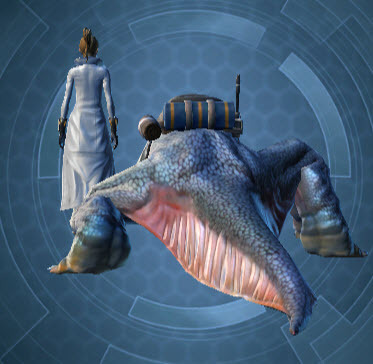 Not counting the high end stuff that sells for millions, selling even moderately in demand gear and unlocks can make anyone with enough seed credits or cartel coins to burn rich. 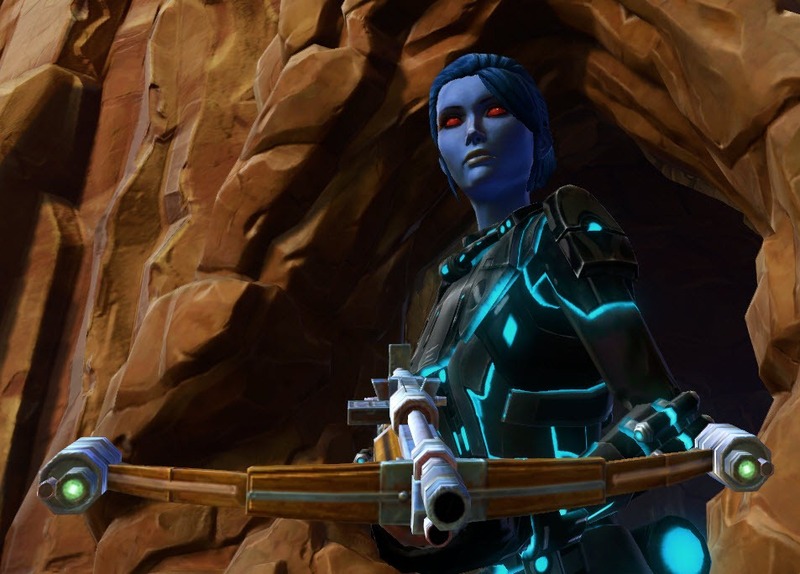 I only dabble in the GTN, most of my credits come from ops trash and weekly quests, and even I’ll be able to afford Treek and any of the other rewards I fancy without feeling a bite to my bottom line. 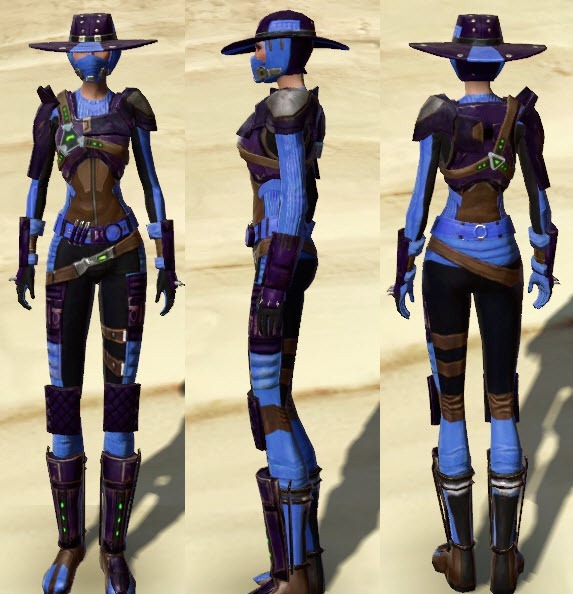 great post as always dulfy, quick question are the armor’s able to be dyed? might be a silly question but im just curious. 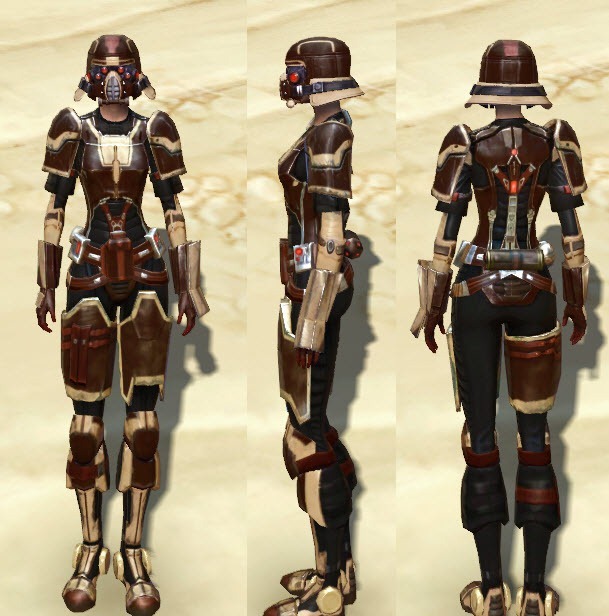 also any chance of posting the items available from the other reputation vendor aswell? While you can’t buy them yet they are all dye-able since they have a dye slot. I took a bunch of shots with the dyes I had on hand, this is from the preview window but should be accurate since they list the dye slot. 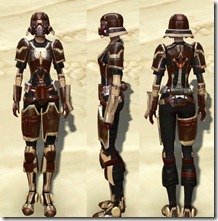 The smuggler looking stuff requires newcomer and BH looking stuff requires Hero, and the helm requires champ. 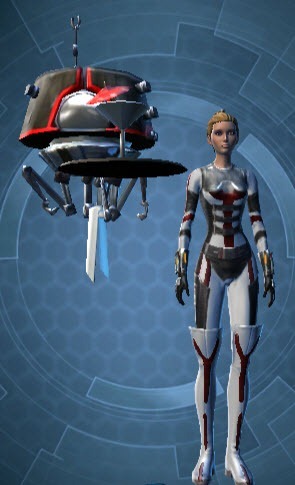 That said both chest pieces are sweet looking, and look good in the red & white security key dye. Also the new skin for HK requires legend rep with the new faction. Last there is legacy vendor with some sort of contract item that requires legacy 40! I’m kinda curious as to why time was spent on content for the handful of people. Just dropping that down to legacy 20 or 30 would increase that number from a handful of people to thousands. Yeah I see more and more “Living Legends” running around every day. Recycled armor. Recycled mount. Recycled weapons. 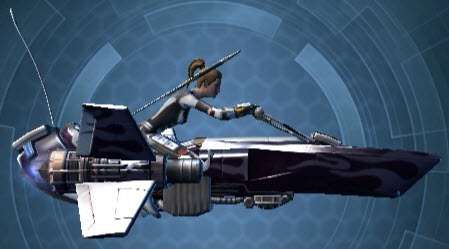 Ok, everyone now can have a bowcaster and they are not in kindergarden colors. A different robot style is ok. Is the Treek customization different from her default look? 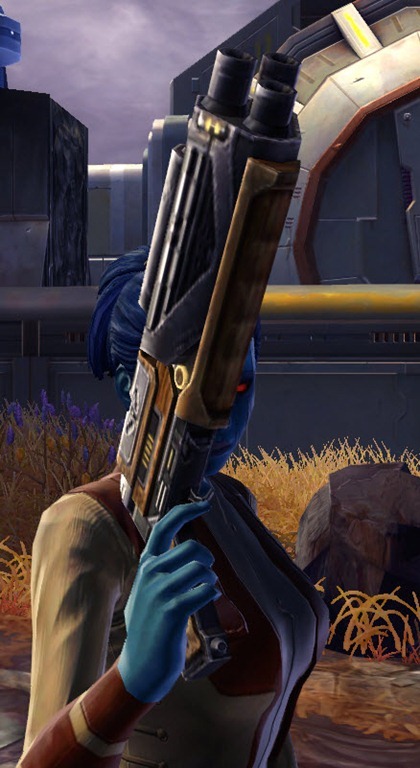 Funny, the blaster pistol is based on a blaster rifle model. This will look funny. I will get two for my slinger. 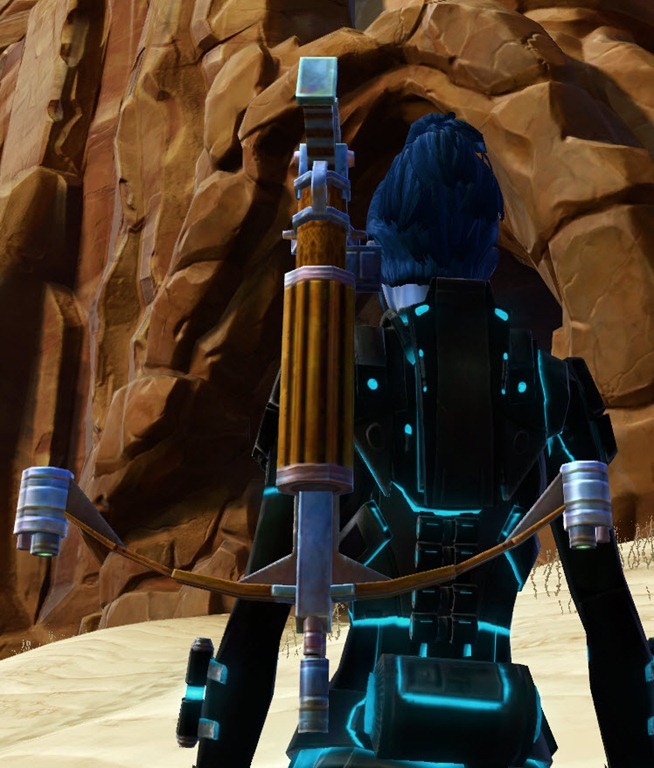 Yeah, i suspect this is their answer to all the requests to let bounty hunters use rifles/carbines. Not the best solution if you ask me tho. 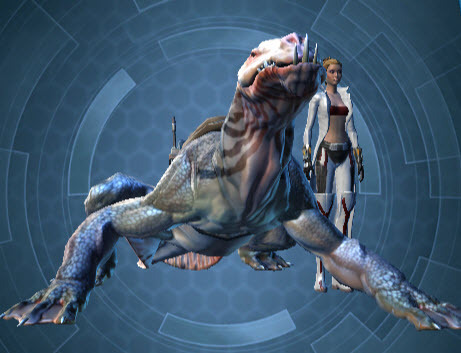 Question about the “Heavy Modified Blaster Carbine”: is it “Main Hand/Offhand”? A carbine is a short rifle. just checked for you, it is mainhand/offhand. 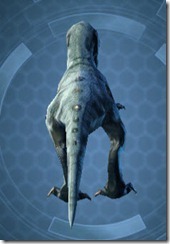 Can we get a —>((NEW))<— Scorpio customization as well please? 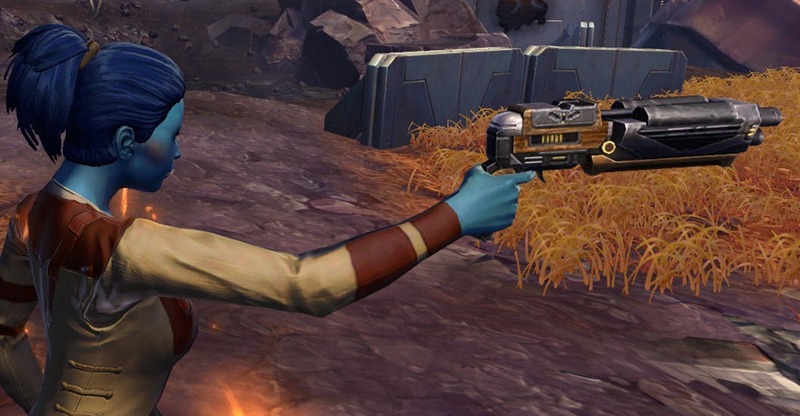 Why is vox mortis from darthhater holding the blaster pistol like a rifle? 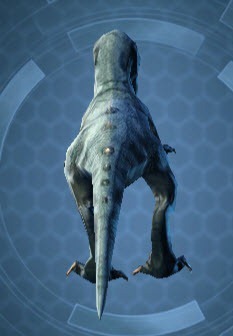 He is holding it wrong or something bugged on his end. I checked on 3 different characters and they all hold it like a pistol. I wouldn’t be surprised. In game, if you are previewing different kinds of weapons (sabers followed by rifles followed by pistols followed by vibroswords followed by… you get the idea ;)) sometimes you’ll end up with your character holding them “funny”. In this case I wouldn’t be surprised if he was previewing the various bowcasters and then previewed the pistol and ended up with the screenshot we see there. Why not ask him and not Dulfy? 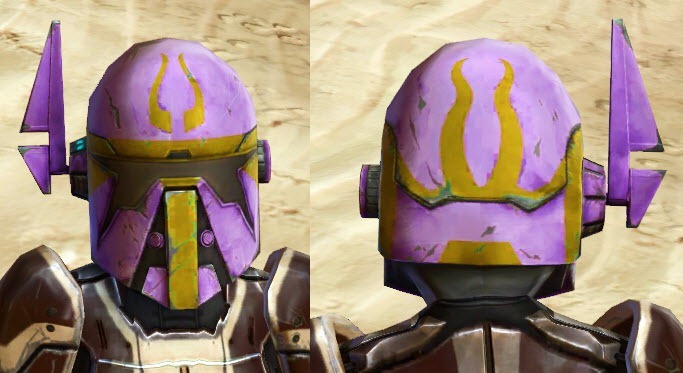 I love the 2nd helmet – looks like Shae Vizla’s. 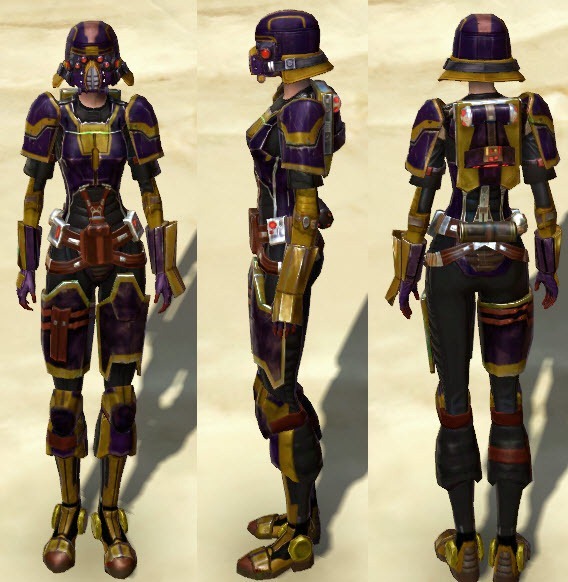 But the helmet doesn’t match the armor at all. 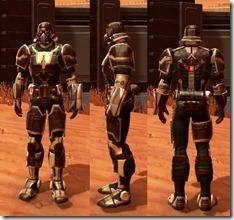 The armor set goes with the first helmet. Then, they just stuck in a second helmet that didn’t match. 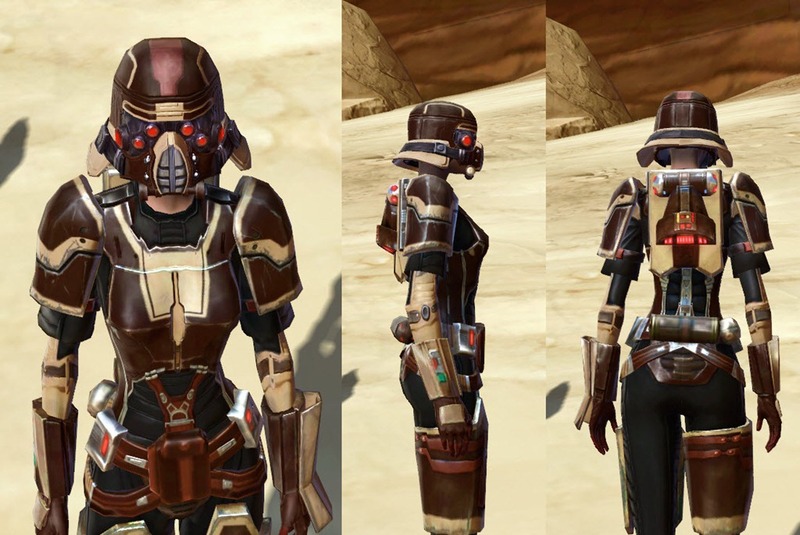 Why not do the full Shae Vizla armor set instead of sticking the helmet with a completely different armor set? 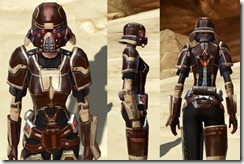 Is it just me, or does the helmet come out a much brighter color than the chest and other pieces which you colormatch? 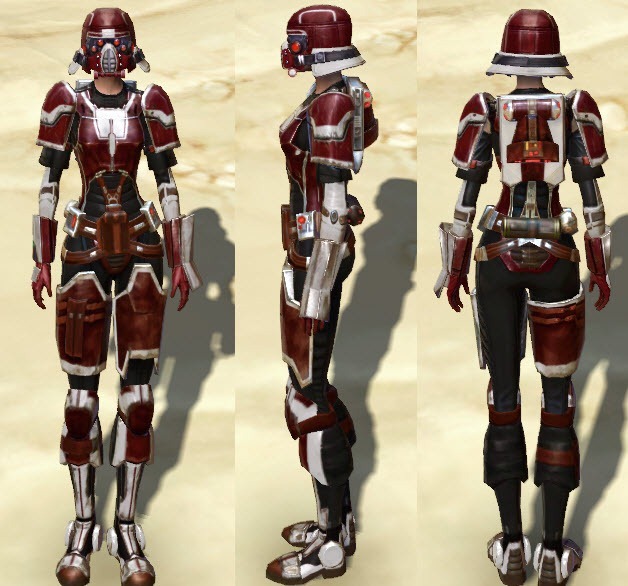 For example, look at Black/Red dye and color match. 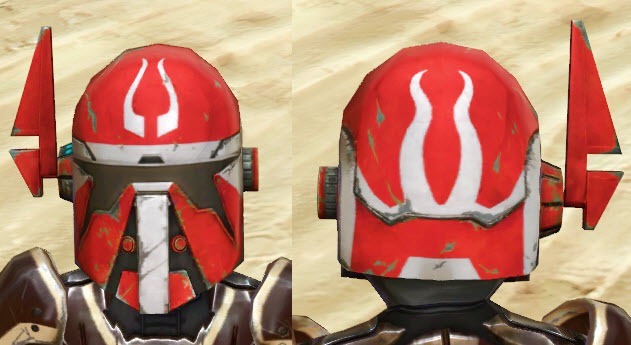 The helmet is a bright red, but the other armor pieces are a dark red. It matches, but not really. 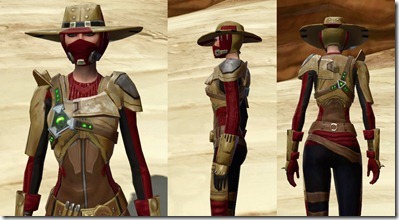 The BH legacy “Hunter’s Exalted” set is patterned after Shae Vizla’s armor so they’ve already done that set. Mmm. Not quite. 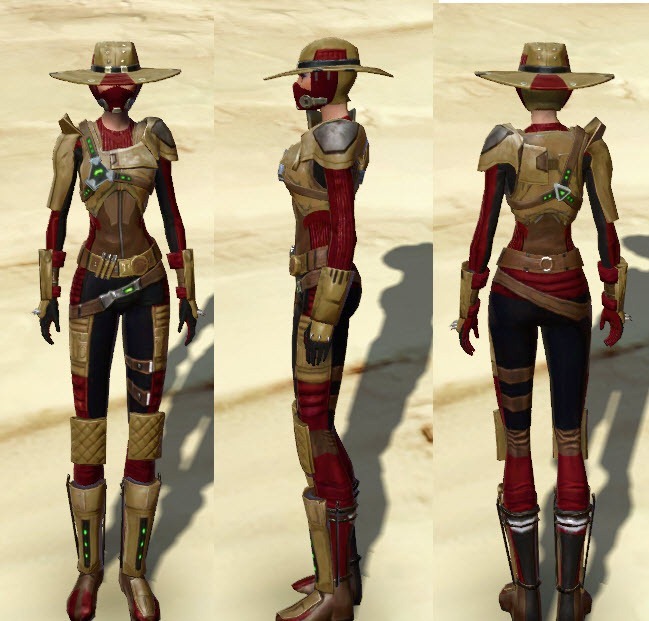 I have the Hunter’s Exalted set and it’s quite a bit different than Shae’s armor. 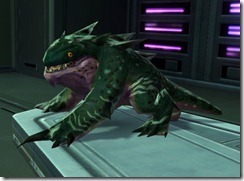 The Hunter’s Exalted is a reskin of other armor like TT-17A Hydra. Shae’s armor is unique and I haven’t seen anything like it in-game yet. 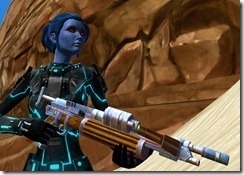 really love the look of that blaster carbine…any idea if Mercs can use 2? or is it mainhand only? What about the Master Hunter Helm seen at the bottom of the items vendor? 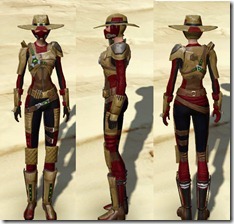 That is the bounty hunter helm shown with the contract hunter set. 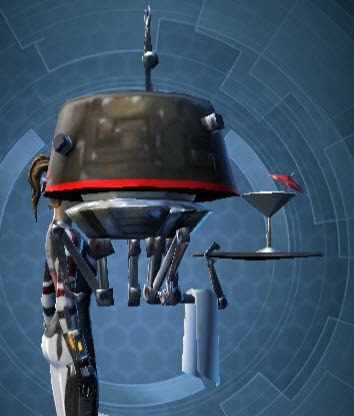 Dulfy can I ask about the customazation for the HK….is it for HK-51 or someone else? That Heavy armor is awesome! I like the armor that the NPC in the picture has, but I hope I can change the color to white or gray for my Commando. I don’t understand it, but most of the Trooper armor doesn’t look as good on Troopers because I hate having a giant backpack. These are perfect! 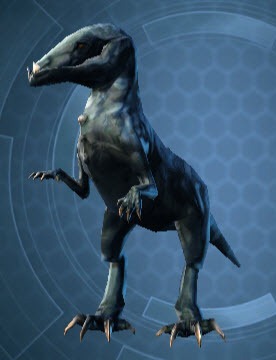 why cant they add a simple hat, without the face thing….like in the trailer 🙁 so sad …. I, sadly, believe the sides of the hat are there to hide the fact that they either can’t or won’t put in the work required to properly show the hair underneeth. 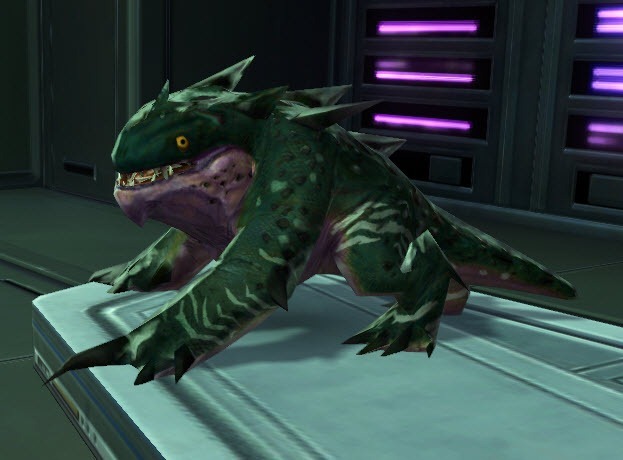 Are they gonna make the HK customization available on the market as they did Treek? SWG much? 😀 I like it! It’s 1 million credits for each HK, I don’t see why his customizations would be any different. They think every player has millions upon millions of credits. Some people barely have enough for Ops repairs, or the 3 hours it takes to do all the dailies. Come on Bioware. If you have barely enough, you’re doing something wrong. Gettin creds in this game is really easy. And dailys doesn’t take that long if you know how to do them properly. Do we know anything about the missions and mission rewards associated with this event yet? I thought it was only 1 mil to start the mission chain for the new companion. I don’t think its 1 mil to do quests there to gain rep.
That can’t be right, supposedly this event is for everyone from level 15 up. I can’t imagine they would exclude a lot of people who only have lowbie toons like that. i cant think of many guildies at with multiple 55 alts who would pay 1mil to start it even – highly doubt itll cost anywhere near that if anything. 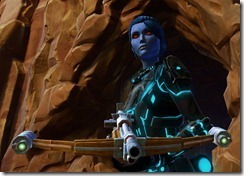 Is the blaster pistol main- and offhand? I hope so. 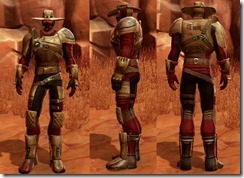 Only mainhand would be very bad for my gunslinger. 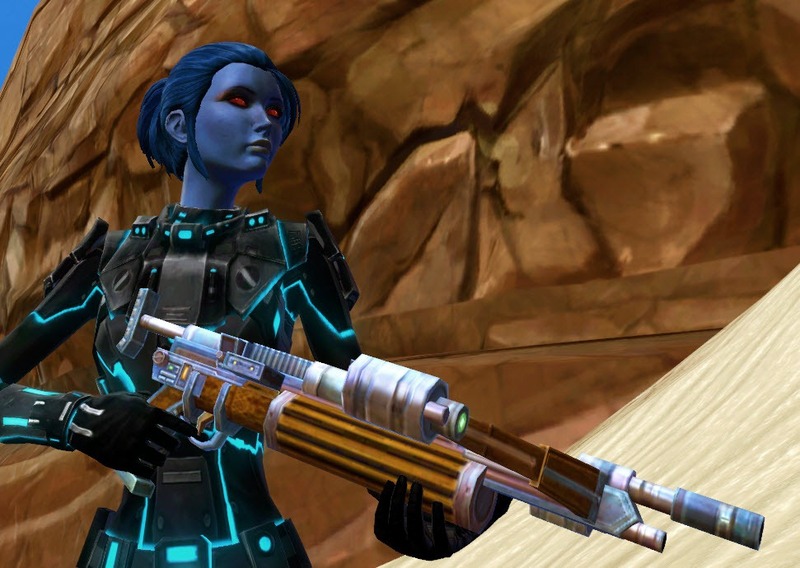 I love the “Heavy Modified Blaster Carbine”. Perfect for Powertech. And BH armor and Helmets adaptative? I was looking for this to my Engineer! Great. Engineer? Wrong game? But yes they are adaptive. You can swing the camera by holding down left mouse button. 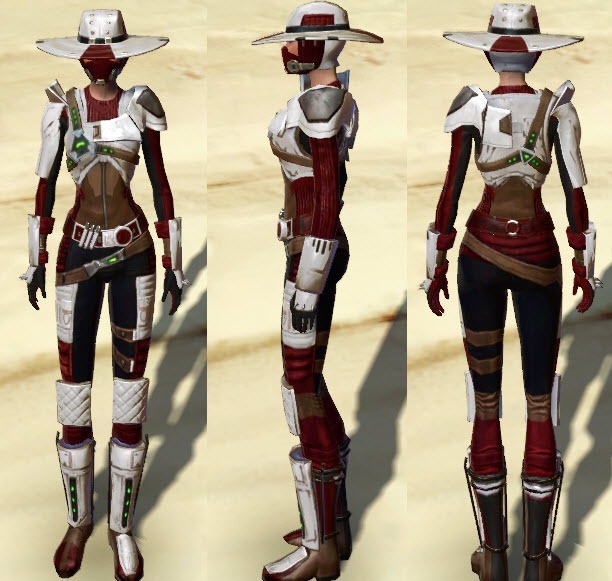 Will we be able to buy Contract Hunter’s Armor on Cartel Market? Gonna dual wield the Carbine with my merc, can’t wait! Interesting update, definitely a step in the right direction. Pricey, hope those bounties pay big time. That HK mod is awesome. Farming the hell out of this. can someone please tell me how to gain a friend standing with the BH broker assoc? I don’t even know how to start gaining points. 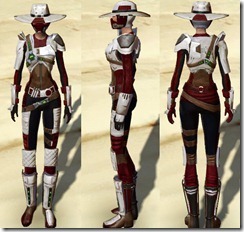 I really want to buy that bounty trackers hat but it takes forever to get to friend status. 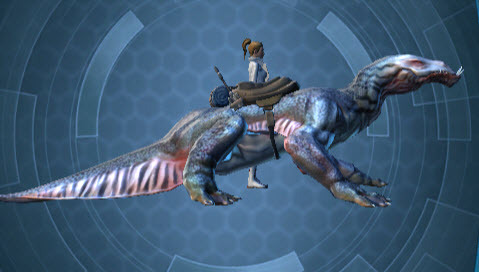 Would you please post a pic/vid of the new sleen mount? You rock as always! Thanks! If I were to take a screenshot for you, how do I submit it? The 2.7.1 patch changed the rewards system. 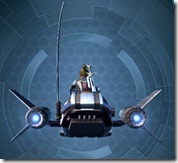 Now all rewards are obtainable only through completed bounty contracts. Assuming each contract is worth 20K (Harbinger’s minimum price), there are increases in expensive items and decreases in cheaper items now. Please update you guide to reflect this. Thanks for the hard work. What Akheria said. Armor pieces tend to be 1-3 contracts, weapons and pets are more like 20 contracts. Well on The Shadowlands contracts run from 40k to 100k on any given night. The price will greatly vary by server. The Friend armor is 3 contracts for the head/chest/legs. 2 Contracts for hands, feet. 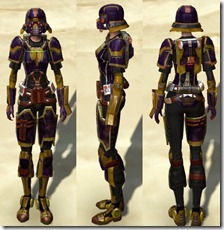 The Hero armor is 4 per chest/legs, and 2 for the other armoring’s off the top of my head. Most weapons are 12 contracts each or so. I can’t seem to beat any of the bounties solo. What’s the key to nailing these bastards? 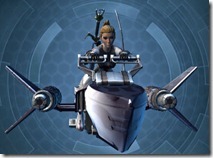 This article needs to be updated since SWTOR changed the costs to Completed Contracts ONLY. Please update it, Dulfy. 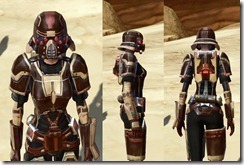 It is nice BoL gear, and people may be disappointed when they learn it isn’t available for credits. Quick question, am I able to get the BHBA gear if I don’t have the rep for it, yet? 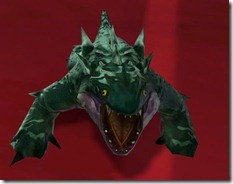 Th patch notes also indicate the Sleen (and thus other BBA items) is purchased solely with completed bounty contracts. So when are you able to buy with credits and not Contracts? The event originally sold items for credits, but now everything costs Contracts. I don’t think any of these are available for just credits. The HK customization for example costs 50 completed contracts, not credits. 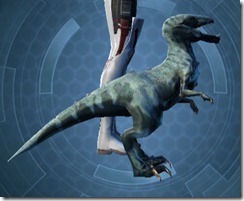 Maybe this was at the start of the event, but it hasn’t been available for credits in at least the last 6 months. 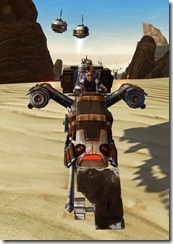 The fact that you can’t seem to get them with credits is going to make gearing my Bounty Hunter very difficult.